International Beauty Day is an annual observance held on September 9 in many countries across the world. It was initiated by the Russian section of the International Committee of Aesthetics and Cosmetology (Comité International d’Esthétique et de Cosmétologie, CIDESCO). CIDESCO was founded in 1946 in Brussels, Belgium, but its head office is currently located in Zurich, Switzerland. The committee describes itself as the world standard for beauty and spa therapy. Its members include the world’s leading schools, colleges, beauty salons and spas. The CIDESCO diploma has earned worldwide recognition. 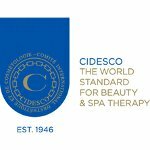 The main goals of CIDESCO are to establish and uphold the highest beauty and spa therapy standards, promote aesthetics throughout the world, facilitate the exchange of professional knowledge and information, and create certified training centers. International Beauty Day was created to help CIDESCO achieve these goals. International Beauty Day is designed to celebrate inner and outer beauty, as well as emphasize the importance of the beauty industry. CIDESCO encourages to join the International Beauty Day campaign by sharing your definitions of beauty on social media using the hashtag #InternationalBeautyDay. In addition, local sections of CIDESCO organize various events in their respective countries.